Minimum wage hikes across Canada this year could cost about 60,000 jobs by 2019, the Bank of Canada warns in a new report. 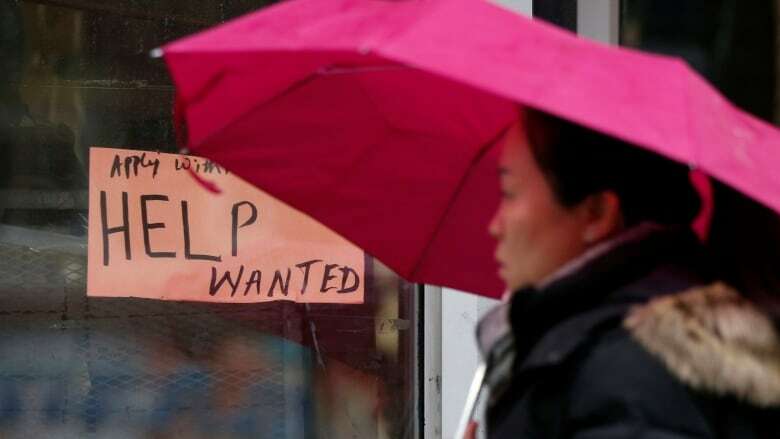 Minimum wage hikes across Canada this year could cost about 60,000 jobs by 2019, despite the benefits they would bring, the Bank of Canada says in a new report. Researchers at the central bank published a research note over the winter break, attempting to calculate what sort of economic impact a series of minimum wage hikes set to come into force this year will have on Canada's economy. As of Jan. 1, Ontario's minimum wage is now $14 an hour, up from $11.60. By the end of 2018, Alberta, Quebec and Prince Edward Island are also expected to hike their minimum wages. Economists and business leaders have squabbled over the issue, with some of the former arguing higher wages boost the economy and help fight income inequality. Those on the other side, meanwhile, say the costs are too high and will come with a heavy toll on the job market. Farmer Kevin Howe of Howe Family Farms in Aylmer, Ont., a small business that has been in operation for five generations, said he's already reducing the amount of crops he plans to plant this year, and fears he won't need as many workers because consumers won't be willing to pay the higher prices he'll have to charge to cover wage increases. "Costs are always going up and we need to be able to pass these costs on to stay in business," he told CBC News in an interview Tuesday. Some summers he hires up to 400 people to pick his strawberry crop, but this year there will be far fewer hours available as the farm has reduced its strawberry acreage by 30 per cent as a precaution. "It's definitely going to impact the amount of work available," he said. "It's going to make for shorter days [and is] definitely not going to be good for the community." Rising wages are certainly direct costs for small business owners. But the impact on workers is just as direct. A minimum wage worker in Ontario just got a raise of $2.40 an hour compared to what they were making last week. That's an extra $96 a week for full-time work, or almost $5,000 a year, before taxes and other deductions. That's real money in their pocket, but the job market isn't the only thing set to be impacted by a higher minimum wage. According to the report, the official inflation rate is expected to get a boost of about 0.1 percentage points because of the hikes this year alone. And growth in the overall economy is expected to be held back by about the same amount. But on the jobs front, the impact could be greater. Based on one of the models the bank uses, Canada's economy could have roughly 60,000 fewer jobs by 2019 than it would otherwise have seen. But other models the bank uses show a wider range of results, from as little as 30,000 to as many as 136,000 jobs lost. The Bank of Canada told CBC News in an email Wednesday that the report's views are solely those of the authors and may differ from the bank's official opinion. No matter how the report slices the numbers, however, the result is the same: hiking minimum wages will result in fewer jobs, at least in the short term. "Although empirical evidence is mixed on the magnitude of minimum wage effects, most studies for Canada find that the reduction in employment is statistically significant, especially for younger workers," the bank said in its report. Paradoxically, while minimum wage workers stand to benefit in the form of higher salaries, they could potentially also be hurt as the job market in that sector may dry up, making it harder to get a job if they lose theirs. There are certainly positives to be had, though. Hiking minimum wages makes a real impact on workers on that end of the spectrum — a group the central bank says is as large as eight per cent of the entire work force. There are spillover effects for other people, too. Even workers making only slightly above minimum wage can expect to see their wages increase. Overall, the report says almost one out of every six Canadian workers can expect to see their salary increase as a direct result of minimum wage hikes, whether they are making that much currently or not. The impact is also likely to be different across the country, which is why Scotiabank's deputy chief economist Brett House appreciated how the report put them all into one framework to weigh the pros and cons. "It's not a zero sum game where those jobs are gone and they'll never be replaced," he said in an interview. Even if some jobs are lost, things that businesses do to become more productive in the face of higher costs tend to pay off for everyone over the long term, House said. Activities such as automation and other productivity enhancements "also kick off demand for other skills in the economy too," he said. Because over the past decade and a half, he said, any Canadians who own stocks or real estate have done very well, financially speaking. "The recovery has mainly benefited you," he said. But that's not true of a huge percentage of the population who depend on their pay cheques as a sole source of income. "If you rely on wages only, you haven't had a real wage increase in any substantial way in 10 to 15 years." That's why House is among those who thinks the positives of wage increases will outweigh the negatives. "Raising wages is really essential to keeping everyone bought in to the economic model that is Canada," he said. An earlier version of this story said the report was predicting 60,000 lost jobs this year. The Bank of Canada subsequently told the CBC that while the report said "by 2019" the authors' intent was to tabulate the economic impact by the end of the year, not the start.